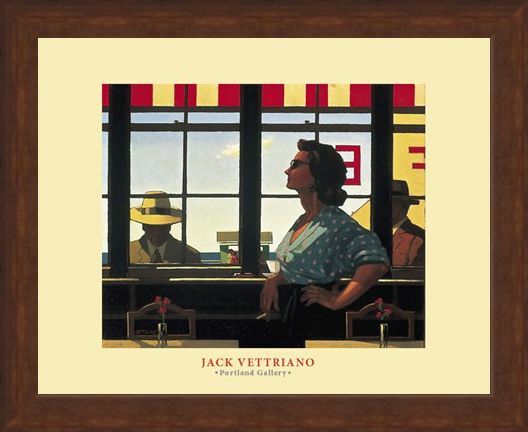 Art Print: Jack Vettriano is a Scottish artist renowned for his depictions of romance, lust and mystery and that is exactly the theme with this wonderful print called 'A Date with Fate' which features a women standing in a cafe as a dark figure of a man stands outside the window. 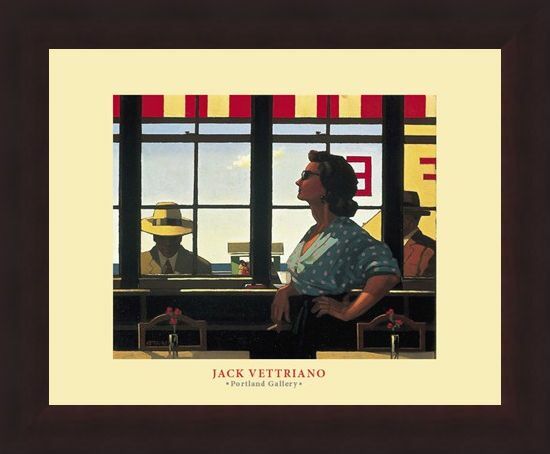 The women leans against a window ledge with a cigarette in her hand as she stands tall, knowing she is being admired from afar. 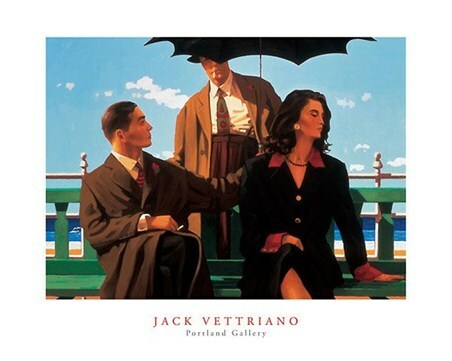 Set in Vettriano's usual beach location, this mysterious print captures the feeling of forbidden lust with its dark, shadowy colours and vague facial expressions. 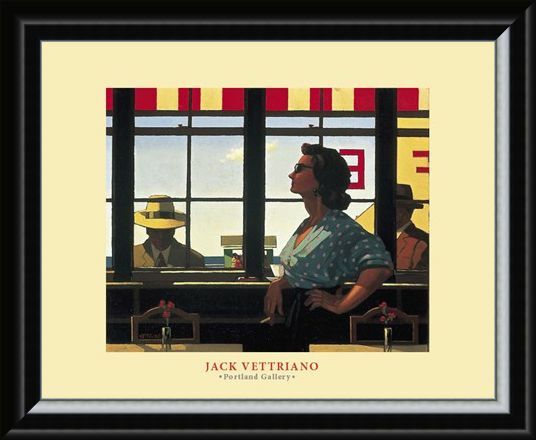 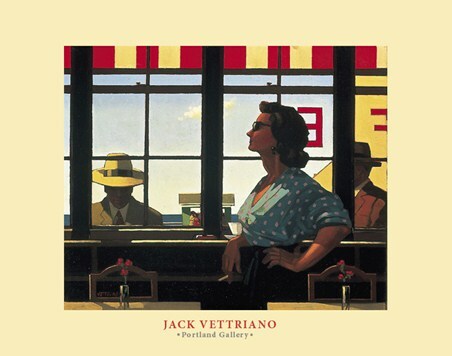 If you are a fan of Vettriano and his iconic work then this art print will make an enigmatic addition to your collection. High quality, framed A Date with Fate, Jack Vettriano print with a bespoke frame by our custom framing service.